Advances in Organometallic Chemistry, Volume 69, contains authoritative review articles of world renowned researchers in the field of organometallic chemistry. This longstanding serial is known for its comprehensive coverage of topics in organometallic synthesis, reactions, mechanisms, homogeneous catalysis, and more, with this release focusing on topics such as C-H Activation Mediated by Main Group Inorganic and Organometallic Compounds, Transition-metals catalyzed intramolecular amination and hydroamination reactions of allenes, Green Fluorescent Protein-like and related organometallic fluorophores, Recent advances in the synthesis of C-­ S-­ bonds via metal‐catalyzed functionalization of C‐ H‐ bonds, Current mechanistic understanding of Co-catalyzed C-H functionalization, and more. 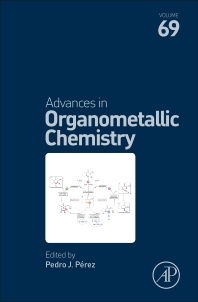 The book is ideal for a wide range of researchers involved in organometallic chemistry, including synthetic protocols, mechanistic studies and practical applications. 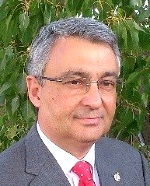 Pedro J. Pérez (FRSC) graduated in 1991 under the supervision of Prof. Ernesto Carmona (Univ. Sevilla, Spain). As a Fulbright Scholar, he then joined Prof. Brookhart's group at UNC-Chapel Hill (USA). He started an appointment as Assistant Professor at the Universidad de Huelva (Spain) in 1993, where he has been promoted several times until the current position of Professor in Inorganic Chemistry (since 2005). His work is devoted to the development of organometallic complexes of late transition-metal as well as their use as catalysts for transformations involving hydrocarbons, including olefin modification, carbon-hydrogen bond functionalization, and click chemistry. He has been recognized by the RSC with the 2015 Homogeneous Catalysis Award, and by the RSEQ (Spain) with the 2007 Inorganic Chemistry Award and the 2016 Gold Medal Award. In 2014 he joined the National Academy of Sciences of Spain as Corresponding Member.